The day before Halloween 2009, two and a half years after Apple’s first-gen iPhone came to market in the United States, the iPhone 3GS went on sale in China. Today about 20% of Apple’s total revenue (up from 15% in 2012) comes from China, the lion’s share of which is iPhone, which in turn makes up about two-thirds of Apple’s revenue worldwide. This product introduction became the single most critical increment to Apple’s iPhone-centric strategy propelling the company’s growth at a critical stage in the life cycle of that relative new business. Samsung, Motorola, LG, Sony and many, many others had, by then, entered the market with Android-based smartphones that matched and often exceeded the functionality of Apple’s flagship offer. Even though Microsoft and RIM attempted ill-fated competitive recoveries, it was Samsung’s savvy branding, design and technology prowess that would soon outsell the #1 smartphone maker in the world, only momentarily distracted by legal troubles at home. Eight months before Apple started selling iPhones in China, however, Huawei debuted its first Android smartphone at the Mobile World Congress in Spain in February 2009. Fast-forward over a decade of hyper-competition with billions of devices and today I learned Huawei has surpassed Apple as the second-largest volume selling smartphone maker in the world (behind Samsung). And iPhone retailers across China are suddenly discounting inventory to move it out the door ahead of new offers from domestic brands like Huawei, Xiaomi and others that blow past Apple’s performance for a lot less RMB. 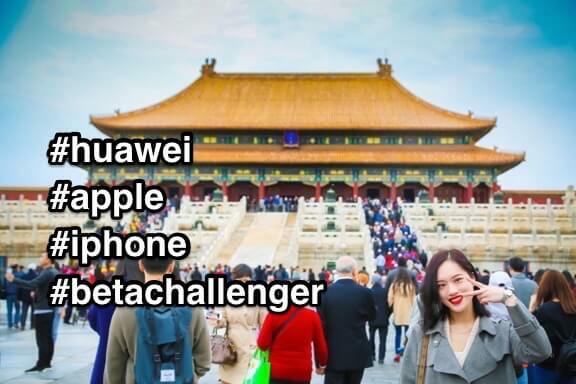 Huawei doesn’t enjoy access to the U.S. market to prop them up yet either, with national security concerns about Huawei’s ties to the Chinese Communist Party a serious security risks from their devices being sold in the USA. But a few compliments to the right President and anything is possible, right?